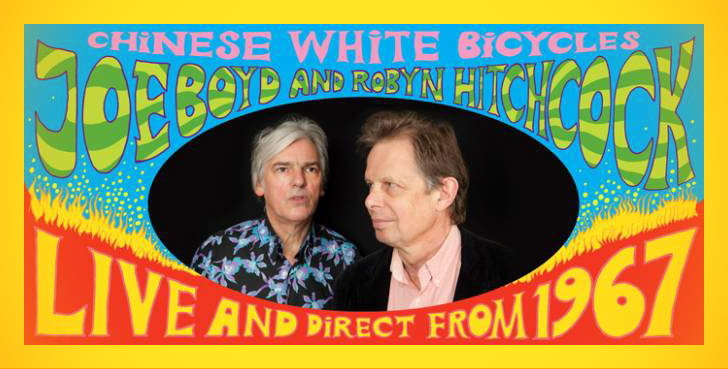 Ultima occasione per quest'anno di seguire la conferenza-concerto Chinese White Bicycles presentata da Joe Boyd e Robyn Hitchcock 'dal vivo e direttamente dal 1967': domani sera a Londra, Southbank Centre, alla Purcell Room. 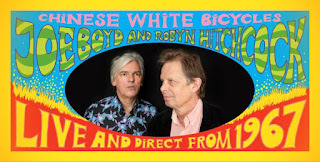 In this show legendary record producer Joe Boyd reads from his memoirs concerning the magic years 1965 to 1969, while Robyn Hitchcock sings songs that came to define the era. Together they discuss this period and the discoveries and experiences of their younger selves. 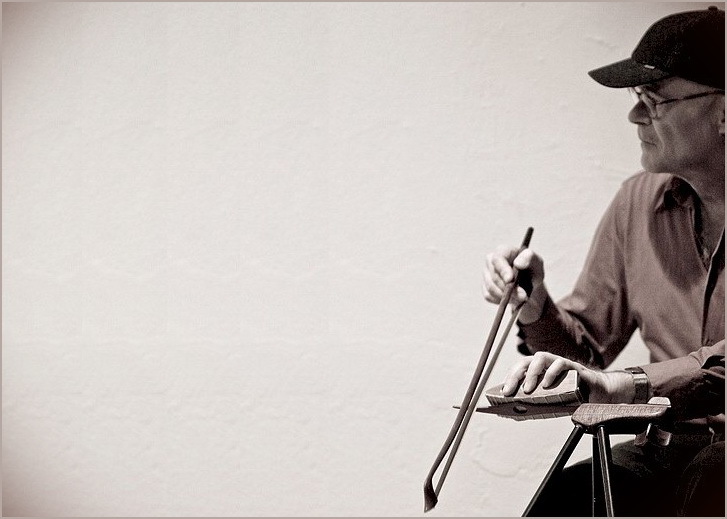 Between these years, the young American Joe Boyd discovered, nourished and worked with The Incredible String Band, Pink Floyd, Fairport Convention and Nick Drake among others, producing records by them which have become seminal classics. L'originalità dell'inventore e il finissimo talento dell'artigiano erano tratti di Hans Reichel ben noti anche nel settore del disegno dei caratteri tipografici, dove Reichel aveva ottenuto consensi e grandi successi soprattutto con la creazione, nel 1995, del font FF Dax, divenuto subito celebre e da allora pressoché onnipresente in ogni tipo di stampato professionale: la sua storia è richiamata in www.fontfont.com/fonts/dax e in www.fontfont.com/news/hans-reichel-1949-2011. 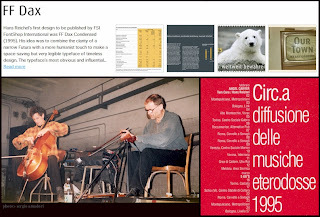 Il 1995 fu anche l'anno in cui Hans Reichel, in sodalizio con Tom Cora e con sigla Angel Carver, accompagnò con una dozzina di concerti a raffica la nascita ufficiale in Italia del circuito autogestito di diffusione delle musiche eterodosse Circ.a. Dio gliene renda merito! Grazie a Shuffleboil si può rivedere in azione con uno dei suoi meravigliosi strumenti il compianto Hans Reichel, ospite dell'edizione 2009 del festival austriaco Phonomanie, quell'anno curata da Paul Lovens. 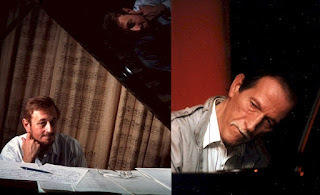 Inconstant Sol ha nei suoi preziosi archivi una registrazione non ufficiale di trent'anni prima, Reichel in duo con Rüdiger Carl a Lovere, il 15 giugno 1979. Un ricordo personale del musicista è nelle parole di Bruce Lee Gallanter, di Downtown Music Gallery: "Hans Reichel was a unique improvising guitarist, a pioneering instrument maker and guitar manipulator. 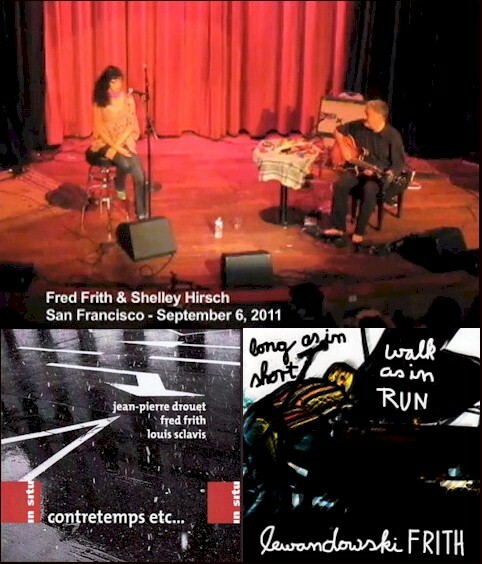 In the early eighties when Fred Frith was living in New York I caught these two distinctive guitarists playing together in solo, duo & trio combinations on several occasions at places like P.A.S.S.. One of Hans experiments was to take two guitars, get rid of the bodies and attach two necks together with one bridge at the midpoint joining so one could tap on both necks simultaneously. The first time I heard this on record was on Fred Frith's 'Guitar Solos 2'. Another brilliant modification was to cut out the area around the bridge and the reattach it in the same place on an axle perpendicular to the neck, so that the body itself became a sort of whammy-bar. Hans had also recorded a half dozen solo records on FMP ('Bonobo Beach' & 'Death of the Rare Bird Ymir') which were great but are now sadly out of print. 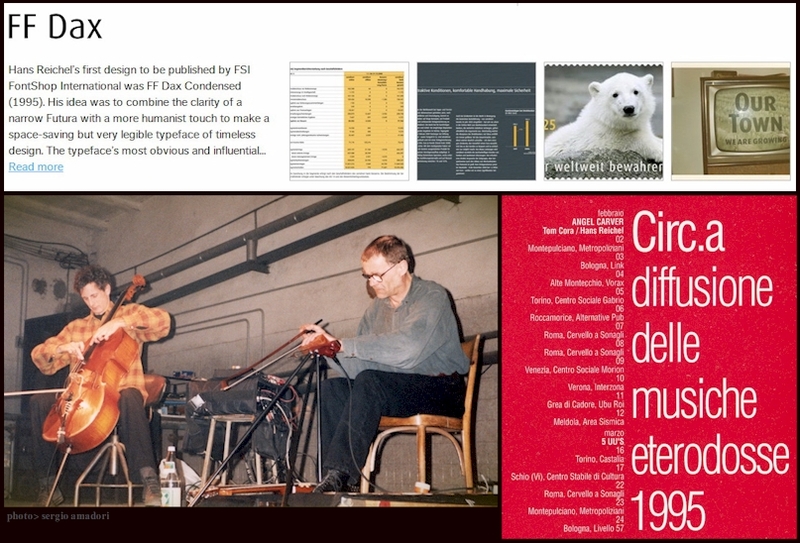 I was fortunate to hear Mr. Reichel with the East-West German Quartet (with Rudiger Carl & Sven Ake Johanssen) in the mid eighties and at an FMP Festival in Chicago in the mid-nineties. This was his last appearance in the US as far as I know. Hans other noted invention was the daxophone: a flat strip of wood with various patterns cut into it - for tuning - that is held off the edge of a table by a vice. The inserted wood is bowed, struck and manipulated to get those unique and sometimes vocal-like sounds. 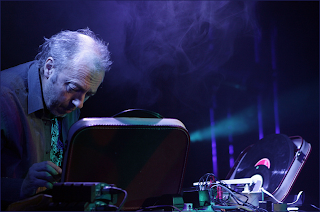 Hans became a master at playing the daxophone and making several recordings, including a dax opera. Check out 'Yuxo' if you can find it. 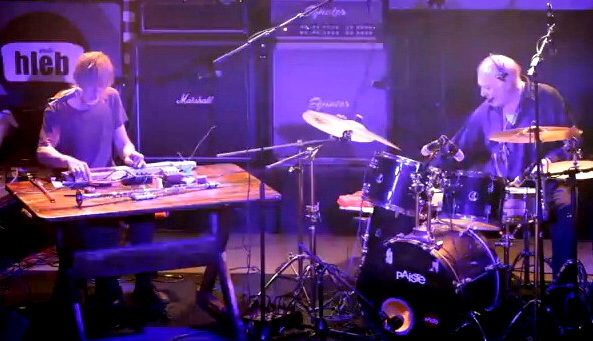 Other musicians also played daxes made by Hans include Fred Frith, Mark Stewart & Kazuhisa Uchihashi. I suggest guitar enthusiasts and lovers of unusual instruments seek ANY of Hans Reichel's recordings, each one is a gem. He will be missed." E purtroppo oggi ci lascia anche Hans Reichel. Sessantadue anni. Un uccello raro. Un genio. Der bekannte Wuppertaler Designer und Musiker Hans Reichel ist tot. Er starb gestern (22.11.11) überraschend im Alter von 62 Jahren. Als Designer entwickelte er mehrere Schriftfamilien. 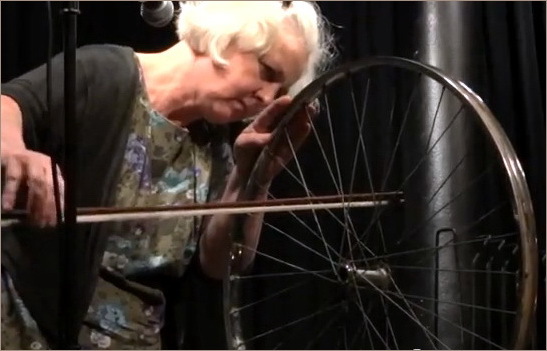 Als Gitarrist gehörte er bereits in den 60er Jahren zur ersten Generation frei improvisierender Musiker. Er erfand ein völlig neues Streichinstrument, das Daxophon. Konzert-Tourneen führten Reichel in über 40 Länder in Europa, Amerika und Asien, seine Musik ist auf mehr als 40 Solo-LPs und CDs zu hören. Aveva compiuto ottant'anni il marzo scorso, se n'è andato poco fa uno dei batteristi più importanti del jazz moderno, Paul Motian. 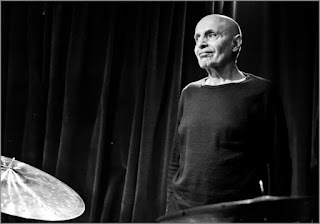 Although he studied drums in the Navy School of Music in Washington, there has never been anything militaristic about Motian's prolific work as a jazz drummer. In the mid-1950s, he played with a host of jazz stars including Stan Getz, George Russell and Thelonious Monk, but his major association was with pianist Bill Evans, both in Evans's trio and as a member of other groups, such as the quartet led by clarinettist Tony Scott. With Bill Evans, he developed a way of playing that mirrored the pianist's phrasing and approach, often abandoning aspects of the drummer's traditional time-keeping role. 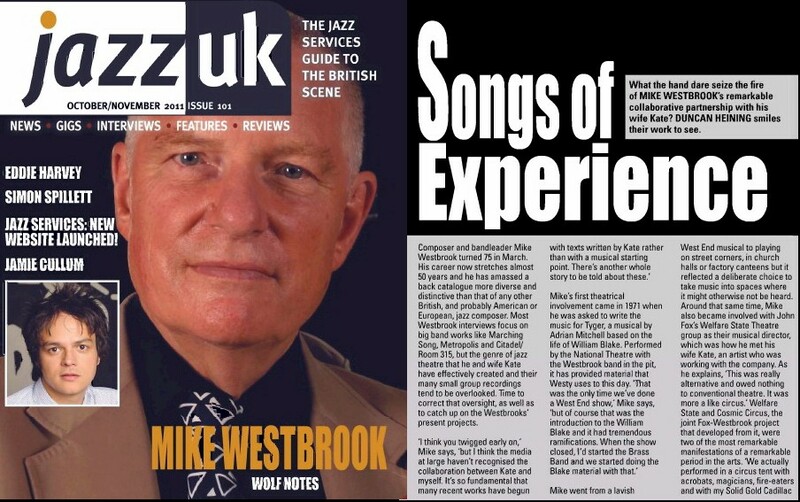 He went on to prove that he is one of the finest trio drummers in jazz history, working with the free-jazz influenced group of Paul Bley and the more wide-ranging Keith Jarrett Trio. 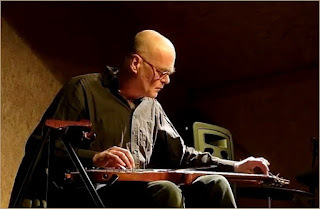 During the decade he played with Jarrett (1967-76), Motian developed a particular rapport with bassist Charlie Haden, in whose own groups he toured and recorded from time to time, from the 1960s to the 1990s. From the late 1970s, Motian has mainly fronted his own groups, ranging from the excitement of his Electric Bebop Band (which pitted two guitarists against a saxophone player, backed by bass and drums) to more conventional jazz trios and quartets. 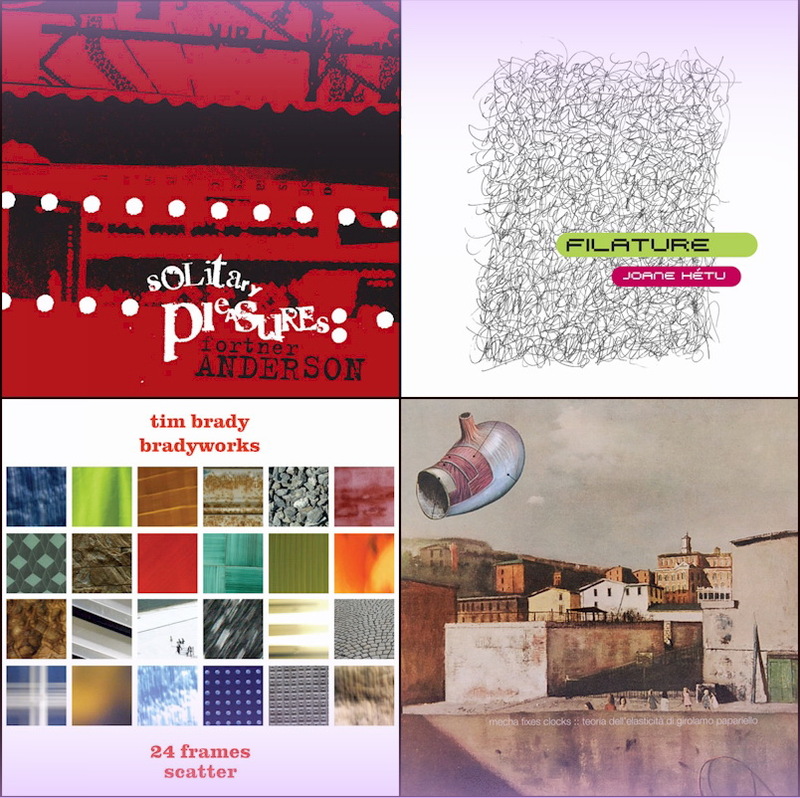 His long-standing trio with saxophonist Joe Lovano and guitarist Bill Frisell is particularly noteworthy. Dave Stewart e Barbara Gaskin in alleanza con Burning Shed annunciano per inizio dicembre la ristampa degli album The Big Idea e Spin in speciali edizioni ricche di brani inediti e libretti informativi in una veste del tutto simile ai precedenti, splendidi, Broken Records-The Singles e As Far As Dreams Can Go. E non finisce qui! Dave & Barbara are pleased to announce the re-release of their albums The Big Idea and Spin. These are the third and fourth releases in the Stewart / Gaskin Special Edition reissue series, which started last year with Broken Records-The Singles and As Far As Dreams Can Go. Featuring contributions by Gavin Harrison (drums), Jakko Jakszyk (guitar), Jimmy Hastings (flute) and the amazing Amorphous Choir, this pair of critically acclaimed albums by the 'intelligent pop' duo are now available worldwide for the first time. Remastered from original digital sources, each CD ships in a full colour digipak with a lavish 20-page booklet featuring new artwork, archive photos and the continuing history of Stewart / Gaskin written by the musicians. Each disc contains one previously unreleased bonus track. 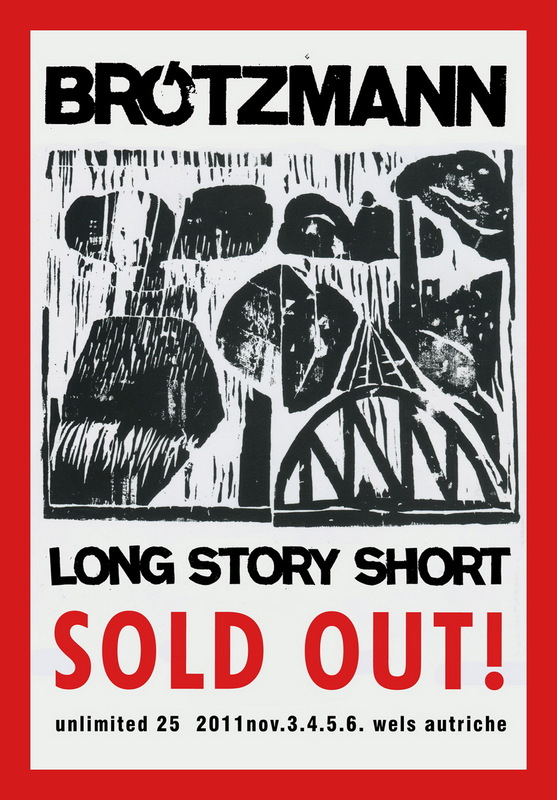 Copies signed by Dave & Barbara are also available. The reissue of these two titles means that the entire Stewart / Gaskin catalogue is now available on CD. The duo's early years are documented in Broken Records-The Singles (Special Edition) and As Far As Dreams Can Go (Special Edition), which between them contain remastered, full-length versions of all Dave & Barbara's '80s singles (including the number one hit 'It's My Party') and 12" mixes, the entire contents of the US compilation Up From The Dark and 47 minutes of extra material which includes previously unreleased bonus tracks. The more recent releases Green and Blue & Hour Moon (2009) and The TLG Collection (2010) complete the Stewart / Gaskin collection to date... and there's more to come. 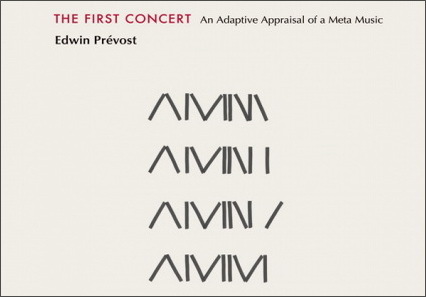 Percussionist Eddie Prévost is publishing a book of his personal philosophies of musical practice. 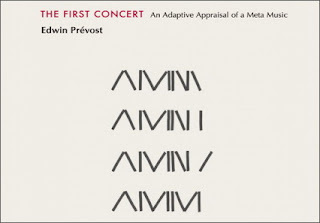 The First Concert: An Adaptive Appraisal Of A Meta Music discusses his weekly London improvisors workshop within the context of adaptionism (which differentiates products of evolutionary adaptation and products of other processes) and takes in folk, jazz, improvisatory techniques, and Prévost's ideas about what he calls metamusical practices. 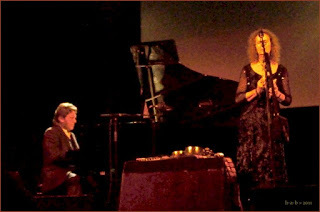 Sylvia Hallett dal vivo, filmata da Helen Petts il 19 settembre 2011 al Vortex Jazz Club londinese. 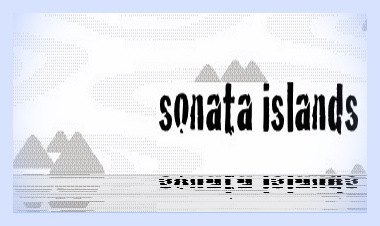 Sonata Islands ha in cartellone due appuntamenti con Alt Rock for chamber quartet, musiche di Fred Frith e Univers Zero - trascritte da Giovanni Venosta - Guillame Connesson, Nico Muhly, Francesco Zago, Tiziano Popoli e Stefano Zorzanello interpretate da Emilio Galante (flauti), Valerio Cipollone (clarinetti), Andrea Pecolo (violino) e Bianca Fervidi (violoncello). 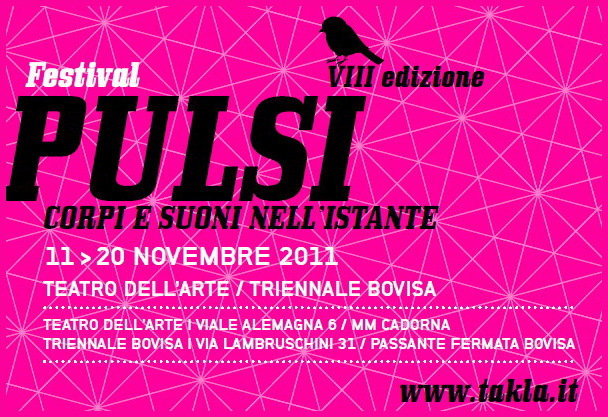 Questa sera a Trento, Teatro Portland via Papiria 6, e il 20 novembre a Milano, Zona K via Spalato 11. 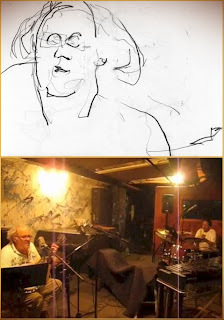 Odd Time è il titolo che Eugene Chadbourne ha scelto per l'album di canzoni registrato con Warren Smith lo scorso marzo, titolo che certamente allude al libro di esercizi di lettura a prima vista - Odd Time Reading Text, di Louis Bellson - che Smith gli regalò in occasione di un concerto tenuto nel suo appartamento all'epoca della "loft jazz scene" nella New York di fine anni settanta. L'episodio è stato riferito tempo fa dallo stesso Chadbourne, nel redigere una breve biografia del veterano batterista: si legge ad esempio in www.cmt.com/artists/az/smith_warren_percussion_/bio.jhtml. Su YouTube si trova un momento della seduta di registrazione di Odd Time, mentre una recensione del concerto in solo che Chadbourne ha tenuto poche sere fa al londinese Cafe Oto si trova in LondonJazz, introdotta da un disegno di Geoffrey Winston. 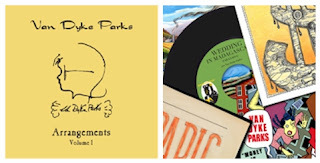 Dal sereno approdo di Bananastan torna a farsi vivo Van Dyke Parks con bell'album antologico, Arrangements - Volume 1, che raccoglie una quindicina di brani prodotti e arrangiati negli anni sessanta per nomi come Ry Cooder, Arlo Guthrie, Little Feat, Bonnie Raitt, Sal Valentino, Mojo Men e Dino Martin, oltre che per se stesso, e una strepitosa serie di singoli in vinile con brani nuovi di zecca e veste grafica di lusso. C'è tutto in http://bananastan.com, con informazioni, dettagli e modalità di prenotazione e acquisto; un'intervista recente proprio a proposito dei sei singoli in vinile è in www.interviewmagazine.com/music/van-dyke-parks: "These singles return the listener to a last-century experience: listening to a song, studying the sleeve art, and getting up to flip the record. Here is true high-fidelity: the superior sound of music on vinyl, and the work of a musician following his own idiosyncratic path." Prende il via domani a New York, presso il club The Stone, il tour de force musicale voluto da Zorn e Steve Feigenbaum per portare in città il verbo Cuneiform: Cuneiform at The Stone, due settimane di concerti - due ogni sera - dal 15 al 30 novembre con protagonisti gruppi e artisti tra i più rappresentativi della benemerita etichetta di Silver Spring, con Hamster Theatre, Thinking Plague, Birdsongs of the Mesozoic, Rattlemouth, Forever Einstein, Roswell Rudd con Ideal Bread, Revolutionary Snake Ensemble, Claudia Quintet, Mahavishnu Project, Gutbucket e Doctor Nerve tra i molti molti nomi coinvolti. Fanno il paio con l'iniziativa newyorkese due altre giornate a Baltimore, una più rock e una più jazz, il 19 e 20 novembre: Cuneifest: Cuneiform Comes to Baltimore. Informazioni e vari materiali aggiuntivi si trovano al sito dell'etichetta, mentre speciali antologie audio dedicate alle due rassegne sono disponibili gratuitamente presso Bandcamp. When one of avant-garde music's chief protagonists, John Zorn, asked Steven Feigenbaum, head of Cuneiform Records, to curate two weeks of live music at Zorn's NYC venue, The Stone, avant-music fans worldwide knew to expect an unprecedented treat. Unveiling his vision for Zorn's visionary space, Feigenbaum & company proudly present Cuneiform at The Stone, a music festival / label showcase that exceeds all musical expectations. 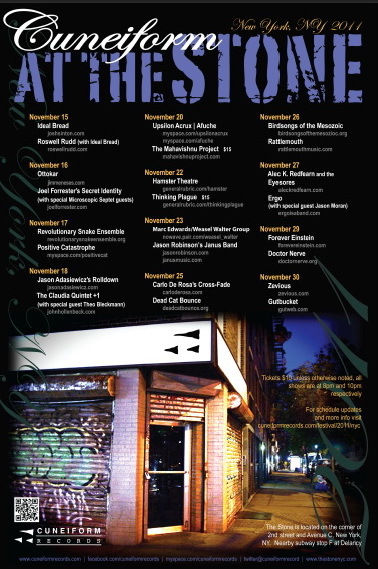 From Nov.15-30, 2011 - the two weeks spanning Thanksgiving holiday - Cuneiform serves up a staggering feast of jazz, rock, electronic and beyond-genre music in The Stone. Featuring 25 groups who record for the label, many of them travelling to NYC from across the USA, Cuneiform at The Stone brings to lower Manhattan a sonic cornucopia, packed with revered musical icons and fiery rising stars. Concurrent with its two-week New York festival at The Stone, Cuneiform will present a two-day music festival in Baltimore, called Cuneifest: Cuneiform Comes to Baltimore. Cuneifest features a 6-band rock showcase at Baltimore's Orion Sound Studios on Nov. 19th, and a 5-band jazz showcase at An Die Musik on Nov. 20th, 2011. Nuovi lutti per la scomparsa in questi giorni di due nomi illustri del jazz britannico, il pianista Gordon Beck (nato nel 1938) e il compositore Michael Garrick (del 1933). 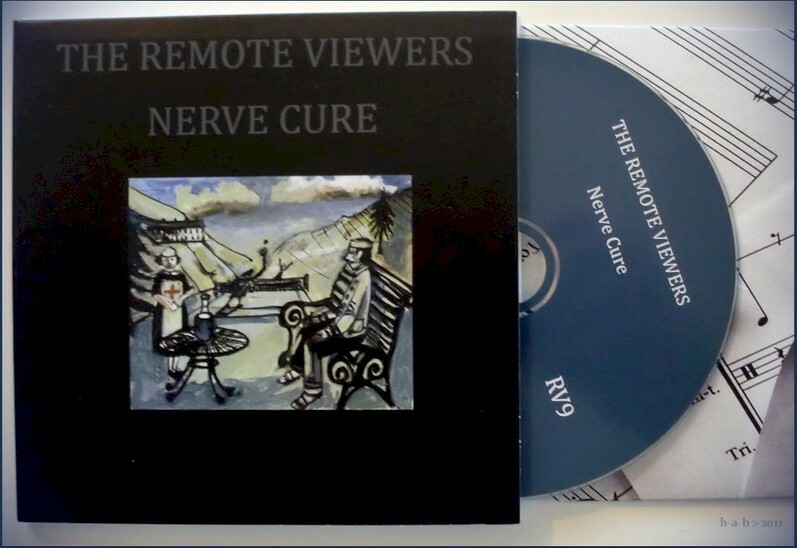 Con Nerve Cure giungono a dieci i capitoli discografici firmati The Remote Viewers, sigla che Adrian Northover e David Petts hanno voluto mantenere attiva anche dopo la dipartita qualche anno fa di Louise Petts, sostenendone le attività con l'apporto frequente di ospiti esterni, amici e parenti: stavolta sono della partita Sue Lynch, Rosa Lynch-Northover, John Edwards (qui al basso e all'arpa!) e brevemente anche Caroline Kraabel e Adam Bohman. 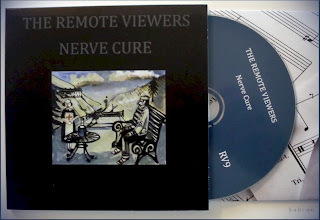 Oltre agli otto brani dell'album, registrato e prodotto in regime di totale autogestione, ci sono due singoli, Nerve Cure Exposed e Secular Faith, diffusi attraverso Amazon e iTunes. 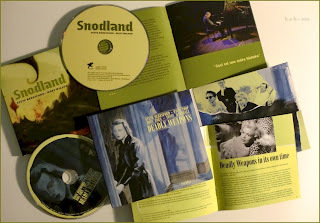 Riedizione in cd di uno dei gioielli di casa Nato: Deadly Weapons, album di Steve Beresford, David Toop, John Zorn e Tonie Marshall istigato da un sogno di Jean Rochard dopo la prima apparizione di Zorn in Francia, a Chantenay nel 1985: "En 1985, John Zorn offre son premier concert français au festival de Chantenay-Villedieu avec le groupe General Strike composé de David Toop et Steve Beresford. 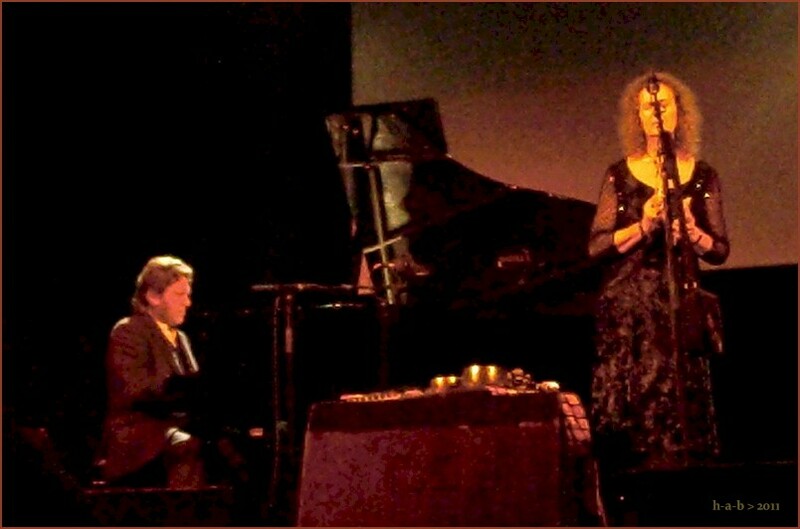 Jean Rochard fait alors un rêve dans lequel il entend une voix française accompagnant ce trio, non comme une chanteuse mais comme une actrice en situation avec des musiciens. Aussitôt, il en parle à Steve Beresford qui acquiesce à l’idée, se met en quête de la voix et rencontre Tonie Marshall (comédienne qui deviendra bientôt une réalisatrice importante du cinéma français)… L’ambiance est alors au film noir et l’actrice chante doucement en évoquant Maria Montez, Diana Dors ou Jayne Mansfield". In questi stessi giorni l'etichetta francese pubblica anche un nuovo lavoro di Steve Beresford in duo con il batterista Matt Wilson: Snodland. 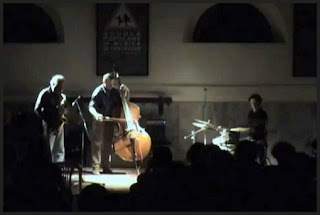 Radiotre Suite Jazz trasmette domani sera, martedì 8 novembre 2011 alle ore 22.00, la registrazione del trio di Sandro Satta (sax contralto), Roberto Bellatalla (contrabbasso) e Fabrizio Spera (batteria) effettuata presso la Sala A del CPRF di Roma il 4 ottobre scorso. Il trio ha un album in circolazione - Re-Union, per l'etichetta Rudi Records - tratto anch'esso da un concerto romano tenuto quest'anno. 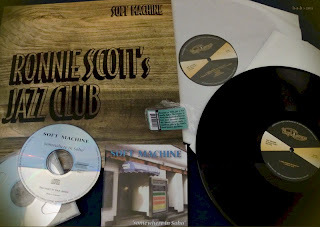 Aspetto e titolo sono diversi, ma il contenuto è identico: Soft Machine at Ronnie's Scott's Jazz Club, doppio LP ora prodotto da Lilith Records/Vinyl Lovers, riporta le stesse registrazioni pubblicate da Voiceprint nel 2004 nel doppio cd Somewhere in Soho: due set ripresi durante la settimana dal 20 al 25 aprile 1970 presso il celebre club londinese in Frith Street dal quartetto, allora di fresca definizione, composto da Mike Ratledge, Elton Dean, Hugh Hopper e Robert Wyatt. 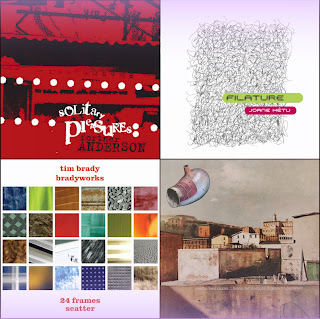 I brani: Slightly All The Time, Out-Bloody-Rageous, Eamonn Andrews, Mousetrap, Noisette, Backwards, Mousetrap (reprise), Hibou Anemone & Bear, Facelift, Moon In June, Esther's Nose Job, Pigling Bland, Cymbalism, Esther's Nose Job (reprise). Identiche sono anche le note di copertina di Brian Hopper, forti di ricordi e commenti diretti sia di Ratledge sia di Wyatt. 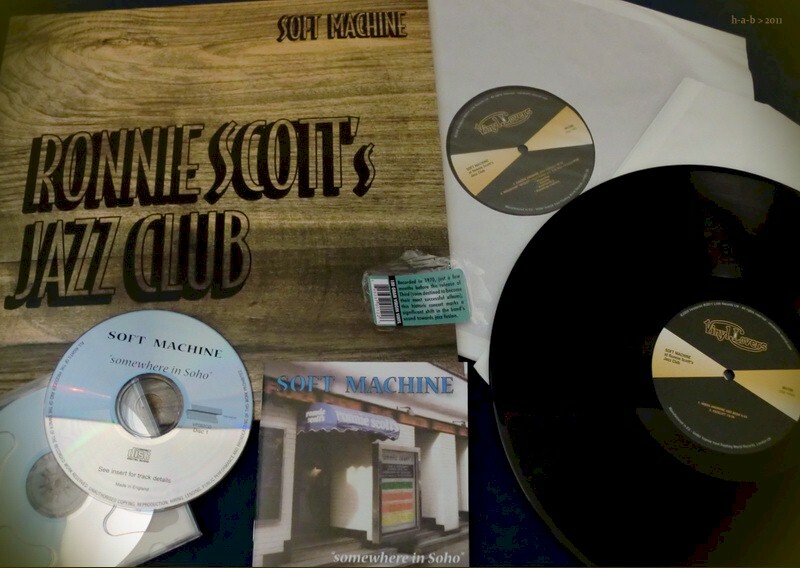 "The recordings on this album stem from a residency at the world famous Ronnie Scott's Jazz Club in 1970 and feature the generally accepted classic line up of Soft Machine which at the time featured Mike Ratledge, Hugh Hopper and Robert Wyatt. The band also featured Elton Dean on Sax who was a survivor from an earlier line up of the band, which featured a brass section. 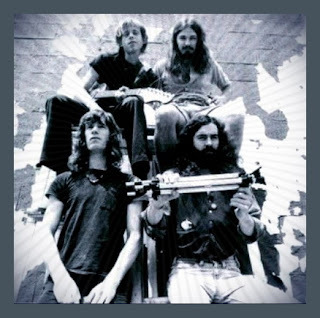 This album recorded between the 20th and 25th of April 1970 is a welcome addition to this legendary band's catalogue, giving long time fans the opportunity to really hear this exciting and near legendary performance from Soft Machine at a time when they were really pushing the boundaries of music". La canadese Dame festeggia tredici anni di presenza sul web rinnovando il proprio sito e potenziandolo in diversi aspetti, soprattutto quelli legati alla consultazione delle opere e all'integrazione con blog e podcast informativi. Tra le ultime produzioni di Ambiances Magnétiques - il più corposo dei cataloghi distribuiti - spiccano i nuovi album di Joane Hétu, Mecha Fixes Clocks, Fortner Anderson e Tim Brady. 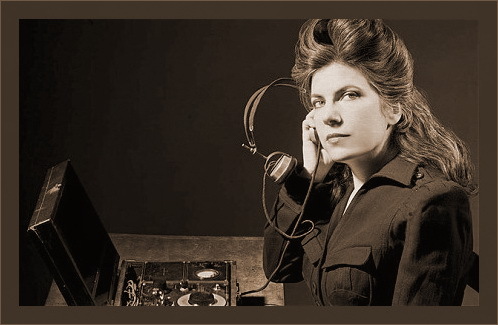 An invaluable resource in new and avant-garde music, the www.actuellecd.com website gives you access to a catalog of over 1300 titles and over 1050 titles available, and to biographies, press reviews and audio excerpts from all artists united under the DAME banner. For almost than twenty years now, DAME produces and distributes the most innovative musics, ranging from electronic, noise and improvisation to post-rock, modern poetry, contemporary and jazz! Even better, with its simple and secure online purchase system, www.actuellecd.com widely facilitates the access to these musics ignored by the mainstream industry. Long as in Short, Walk as in Run documenta il concerto di Fred Frith e Annie Lewandowski al Mills College di Oakland il 4 maggio 2010: lo pubblica l'etichetta Ninth World. 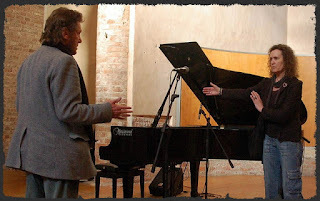 Un concerto di Frith con Jean-Pierre Drouet e Louis Sclavis a Besançon nel 2007 è invece oggetto di Contretemps etc..., per l'etichetta In Situ. E su YouTube si può vedere anche un po' del concerto di Frith con Shelley Hirsch a San Francisco lo scorso settembre. Inizia a Wels, in Austria, la venticinquesima edizione del festival Unlimited, curata quest'anno dai responsabili del Kulturverein Waschaecht in stretta collaborazione con Peter Brötzmann. Concerti, film, mostre e installazioni sono in programma da domani sera a domenica 6 novembre, con ampio spazio concesso alle prodezze del settantenne sassofonista e una speciale attenzione rivolta ai nefasti eventi di Fukushima e alle iniziative di rinascita sociale e culturale lì messe in atto da Otomo Yoshihide. 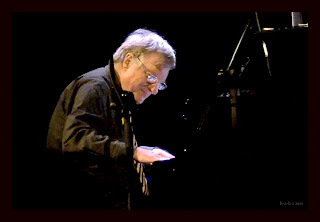 Nel frattempo è sfumata l'opportunità di rivedere in scena uno dei capolavori dei Westbrook, The Cortège, promessa tra le più allettanti dell'imminente London Jazz Festival: "The planned performance of Mike Westbrook's composition The Cortège with the BBC Big Band and guest soloists (Phil Minton, Kate Westbrook and others) in the London Jazz Festival, scheduled for November 18th, will not take place. 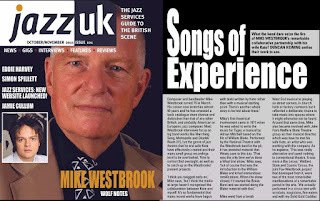 The producers of the BBC's 'Jazz Line-up' pulled the Big Band out of the project, with no explanation. 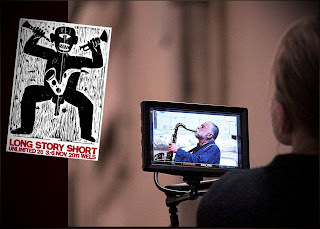 Without the BBC Big Band's participation the LJF (organised by the jazz agency Serious in conjunction with BBC Radio 3) is unable to promote this event".